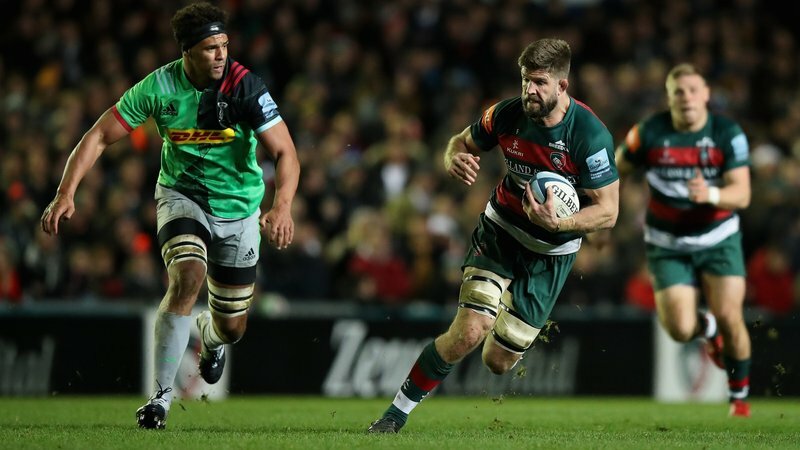 Mike Fitzgerald has urged Leicester Tigers supporters to keep their faith in the team ahead of their Gallagher Premiership match with Exeter Chiefs on Saturday. Tigers will play their second consecutive home league game, and the Kiwi back rower says the players appreciate the fans’ support and has urged them to keep it up. “Everyone appreciates it,” he explained. “They’ve just got to keep on backing the team and keep supporting the boys,” he said. Exeter currently sit at the summit of the Gallagher Premiership table, and Tigers will be looking for a repeat of last season’s 20-13 win over the eventual Premiership finalists. Fitzgerald says that despite the Chiefs posing many threats across the field, the focus is still very much on Tigers’ own game plan. “Exeter really are the full package; they’ve got a decent forward pack, they’ve got the backs out wide who can break you,” he continued. “They play a good game and we’ve just been trying to tweak everything and fine tune bits and pieces. “We haven’t really gone into too much detail about [Exeter], it’s more about us and our roles and nailing our game plan. And the back row forward explained that the experience of new coaching consultant Mike Ford is already rubbing off on the players. “I’ve only had a couple of sessions with him [so far], so it’s hard to say, but by all accounts, he’s doing good so far,” he said. “He’s a new voice, which is good, and is someone with huge experience at a good level of coaching.